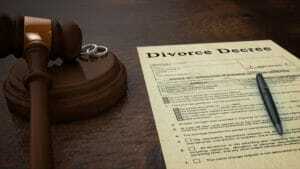 Divorce is strikingly common in the United States. Statistics indicate that some 40 to 50% of all first marriages will eventually end in divorce, as will 60% of all second marriages. While the transition from marriage to separation to divorce is a difficult one for many couples, it’s important to make the process as smooth and simple as possible to help the both of you move on with the rest of your lives as best as you possibly can. Hiring an attorney for divorce legal services can help you in more ways than one. Divorce lawyers understand all of the legal terminology that can be difficult for the average person to grasp. Because divorce procedures can vary widely by state, it’s important to have someone explain to you your rights, options, and possible courses of action in plain English that’s easy to understand. Some divorces can be particularly messy, and that’s an understatement. It may be difficult for both partners to come to a mutual understanding, and in some cases, even be in the same room without breaking down into a vicious argument. Even when you spouses are still on speaking terms, it’s helpful to have third parties to ensure healthy, productive conversations are happening.When you’ve known someone for a very long time — and divorces occur on average after nine years of marriage — keeping your emotions off the table when it comes time to negotiate settlement terms and agreements may be virtually impossible. Divorce lawyers can serve as mediators in these situations, speaking on your behalf and working with your best interests in mind. In the event that a case needs to be settled in court, especially where child custody is concerned, divorce lawyers are there to represent you. There are some 14.4 million custodial parents living in the United States, but only about half (48.6%) of them have some sort of legal or informal child support agreement in place. Settling these matters in court from the start can save you a lot of frustration down the road. When you’re going through a divorce, never be afraid to ask for help. Find a law firm that will have your back and help you through this emotional time. The most important reason to work with a lawyer may simply be the reassurance that you’re not alone. I am requesting for your legal service for an enforcement of spousal and child’s support settlement agreement against my ex-husband. © 2019 Hall & Navarro Website designed and maintained by UP Market Media, Inc.
Disclaimer: Please consult an attorney for advice about your individual situation. This site and its information is not official legal advice, nor is it intended to be. Feel free to get in touch by e-mail, letters or phone calls. Contacting us does not create an attorney-client relationship. Until an attorney-client relationship is established, please withhold from sending any confidential information to us.